Office furniture design is part of the K2 Space DNA with the vast majority of our team having worked in the industry for over 20 years. Consequently, after producing a recent piece on the history of office design, we decided to sit down and discuss the history of office furniture design and this article is the result – we hope you enjoy reading. It goes without saying that the workplace has evolved rapidly over the past couple of decades with more inspiration taken from the home, as companies strive to create comfortable spaces so staff can be as productive and creative as possible. This has also led to an increased significance being placed on the creation of collaborative and quiet zones, as staff spend less and less time at their traditional desk. These developments have had a major impact on the furniture selected and has in our opinion led to a revolution in office furniture design. More on that later but to start let’s trace the evolution of office furniture design starting with the first modern workplace – we use the term ‘modern’ loosely. In the 18th century, as the notion of dedicated building where commercial activity took place took hold, the furniture used is far removed from what we use today. The earliest offices were represented by rows of tables and chairs with management situated in adjacent private offices which were typically furnished to a higher level. In the latter half of the century, fancy roll top desks with innovative filing systems became popular, and the must-have for any discerning workplace. 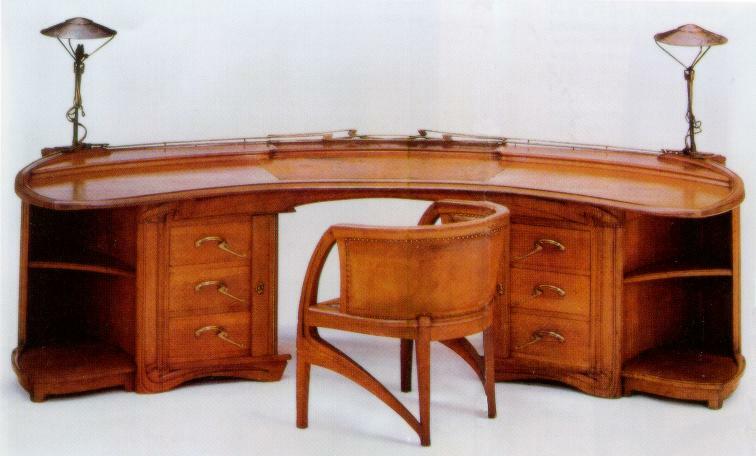 With regard to office furniture design history, we must also reference the Henry van de Velde’s dynamic curving Art Nouveau desk launched in 1899 which to this day is still considered an iconic design classic. 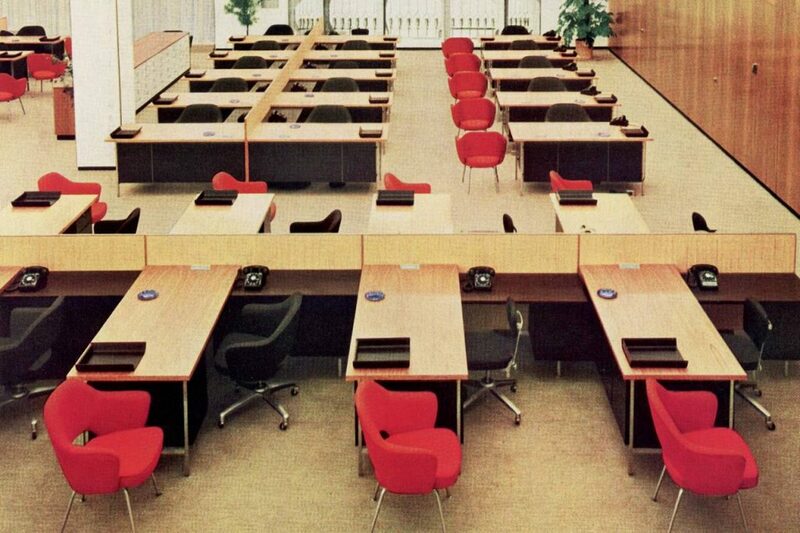 However, as new technology emerged such as the typewriter and telephone and office design moved towards a rigid ‘Taylorist’ approach focused on maximising efficiency and output, office furniture design in turn adapted. The furniture used in a Taylorist inspired workplace were long rows of very basic desks and chairs with staff afforded very little space and unfortunately, as little comfort as to be frank, workplace wellbeing wasn’t a major focus for employers of the time. 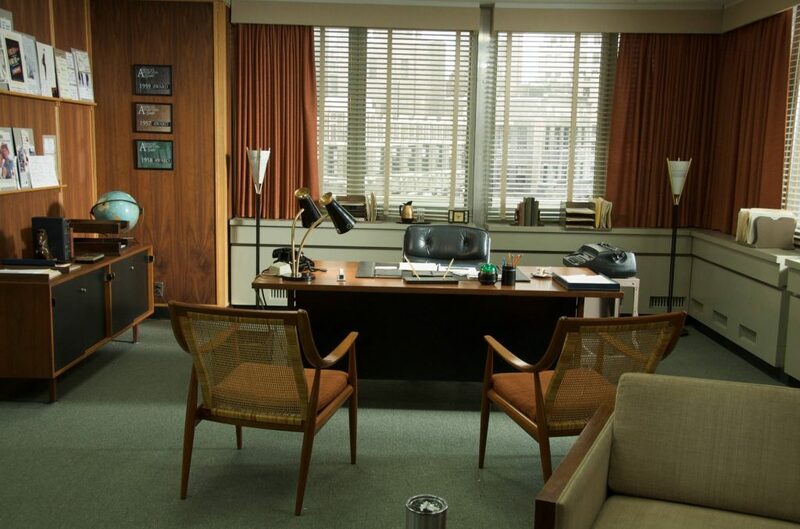 It wasn’t until the emergence of the skyscraper, designed to accommodate multiple companies in one building, that office furniture design began to advance. 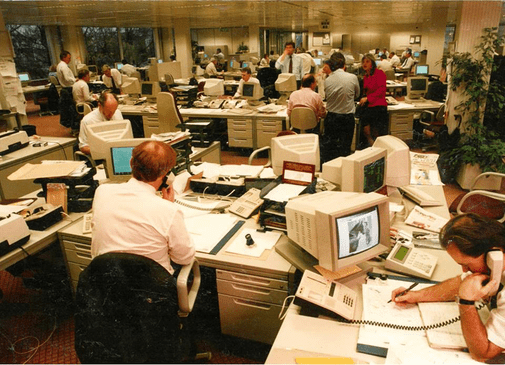 As companies moved to these new buildings, the popularity of typists, receptionists and admin personnel increased and invariably led to the rise of open plan working. The office now became a mix of open plan and private offices with many now also including kitchens or canteens. In relation to office furniture design, this development led to a much-increased demand for more attractive, functional office furniture for both private offices and the open plan. Private offices typically contained elegant desking solutions and space for visitors to meet, usually accompanied by a view. In the open plan, staff were now afforded a more spacious workstation to accommodate a telephone, typewriter and space for paper files. 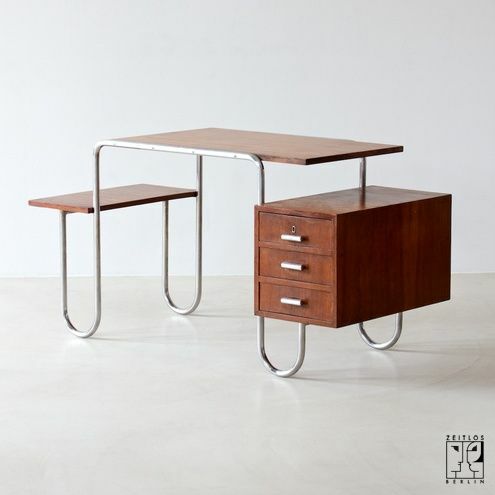 Comfort became more of a concern and the consequently, the quality of the furnishings used improved with the launch of products like Marcel Breuer’s tubular-steel desk developed in the 1930’s. The opening of the Johnson Wax Building in Racine in 1939 also heralded the arrival of a new office concept which also led to companies selecting practical furniture that fitted the architecture of the building. However, it wasn’t until the 1940’s that designers really started to pay attention to the workplace and office furniture design. One of the pioneers was George Nelson, a designer at Herman Miller, who recognised that there was enormous potential to create a marketplace dedicated to office furnishing. 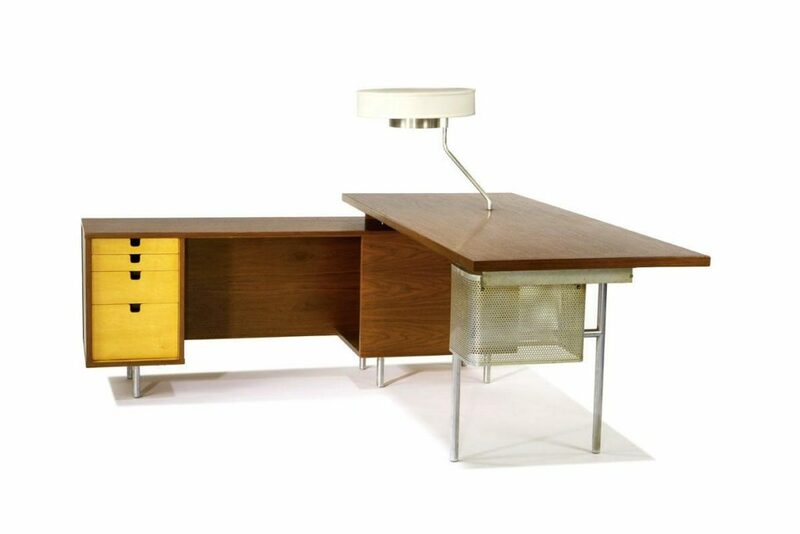 In fact, his ‘Home Office Desk’ launched in 1947 is still considered an iconic office furniture design classic, and the first modern workstation. Post war, the workplace continued to evolve with the advent of Burolandschaft, a German concept which signaled the arrival of a more socially democratic workplace, reflected in the layout that encouraged greater interaction and engagement between staff. The office consequently became a much more vibrant active space and furniture was placed at the centre of this transition, as teams were grouped together in zones and faced towards each other more than ever before. Office furniture design kept pace with these changes by introducing bespoke workstations such as the Executive Office and Steel Frame ranges that facilitated greater interaction and that could be adapted to different layouts. Seating also began to play a greater role as staff looked for comfortable solutions with adequate lumber support, and so products like the Rosewood Swivel Chair and of course, the now iconic Eames Lounge Chair (launched in 1957) were introduced. 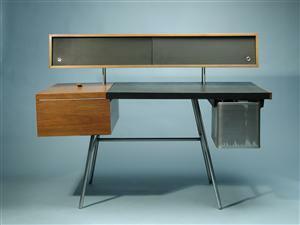 Other manufacturers such as Knoll and Eero Saarinen introducing new desking and seating solutions. However, the office and office furniture design were about to embark on its biggest change yet with the development by Robert Prost of the Action Office. 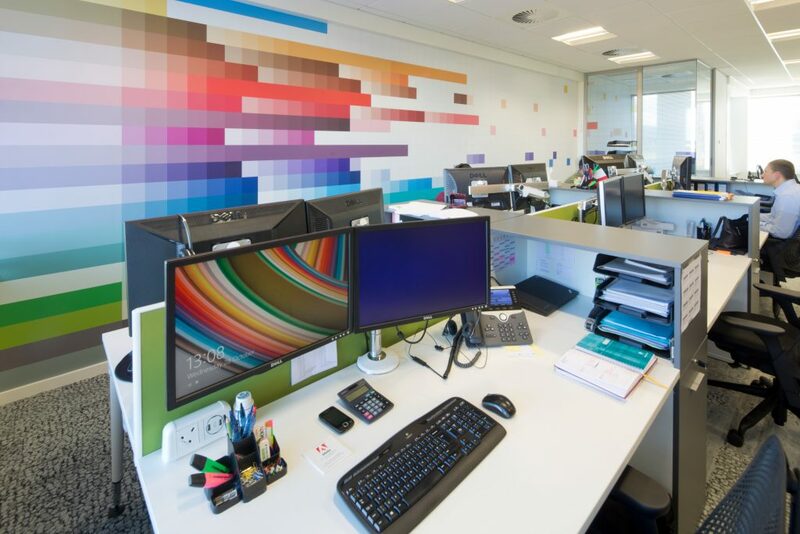 The Action Office concept was developed by Robert Prost and really centred around providing staff with space and privacy to perform a range of tasks. The growth of Action Office led directly to the inception of modular office furniture, as individual’s workstations became larger, higher and less exposed (something we will touch on later). Office furniture design at this point focused on employees physical and psychological needs by introducing furniture that allowed for different working positions) – something that continues to be the cornerstone of modern office furniture design. 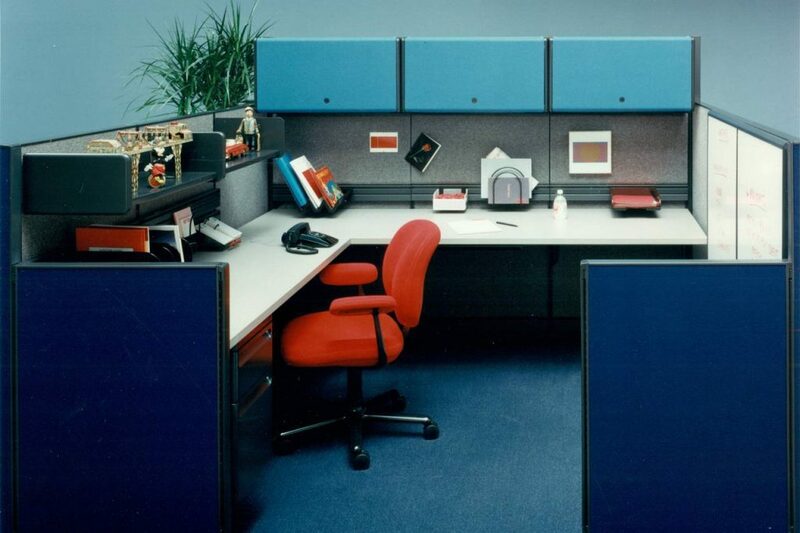 The cult film ‘Office Space’ provided viewers with an insight into what it was like working in a cubicle but unfortunately, workers were to suffer through almost three decades of giant fabric ‘walls’ before the technology revolution forced an urgent rethink. As technology advances revolutionised the workplace, with Fax machines becoming commonplace and PC’s replacing typewriters, the office landscape was required to alter dramatically. Over time, workplaces became less rigid and as the partitions came down in an attempt to encourage collaboration, office furniture design played a major role in radically changing how the workplace not only looked, but also how people worked. Office furniture design focused on creating products that were not only ergonomically conscious but that also facilitated increased collaboration amongst staff. Long bench style workstations with dividers became the norm as employees once again began to be sat beside and facing one another. Workstations and seating emphasised posture and used new features to ensure correct posture in the use of new desktop PC monitors. The dot com boom in the 90’s coincided with the arrival of more open, laid back workplaces with the traditional neutral colours deserting the workplace, and bright, vibrant tones up to then associated with home interior design, became commonplace. 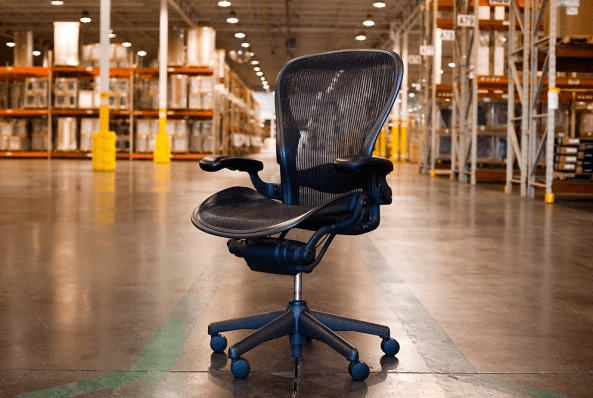 The mid 1990’s also saw the launch of the ground-breaking Aeron chair from Herman Miller, which used lightweight, form moulding textiles for lumbar support. This period witnessed great advances in office furniture design with the introduction of monitor arms for PC’s, sofas and soft furnishings in the workplace (until then only seen in the private office) and importantly, the inclusion of dedicated staff breakout areas where they could collaborate, relax or simply work from. Moving in the new century, office furniture design was entering a golden era as advances like Wi-Fi and lightweight laptops allowed for radical changes to be introduced. Wi-Fi for example meant that cable management solutions were no longer as important as they once had been for furniture designers, while thinner, lightweight technology meant that workers needed less space. Together these advances increased flexibility and allowed workers to work from anywhere in the workplace (and beyond), meaning that office furniture for other areas of the workplace became increasing important. Benches were introduced, designed to allow workers to log on anywhere and to collaborate effortlessly, while meeting rooms were in many cases revised with inspiration taken from the home. Although the traditional large meeting room is still a necessity, innovative furniture design has allowed for flexible spaces, with folding walls, foldable tables and stackable chairs all becoming popular. The reception area, was given greater attention with increasing emphasis on the visitor experience and leaving a favourable first impression. Guest seating in reception areas and lounges became increasingly important with beautiful options like Knoll Barcelona chairs or Vitra Eames chairs increasingly being used. New innovative products continue to penetrate the workplace including sit stand desking, tall meeting tables, collaboration furniture and furniture with technology embedded. This trend is set to continue as the multi-generational workplace continues to be used as a tool to reflect the brand and to attract the very best talent. The dawn of the aspirational workplace is here as is evidenced by the fact that over 20% would opt for a salary reduction to work in a ‘better’ workplace. 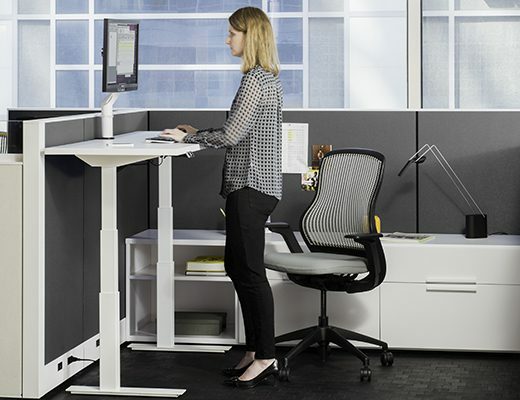 Ergonomics and promoting movement in the workplace is now seen as the main challenge for the office furniture design industry and while sit stand desks and tall meeting tables help, there is much work to be done. In addition, office furniture has a key role to play in encouraging increased collaborative and facilitating greater interaction among staff, and with products like Orangebox and Boss Design’s acoustics office pods and the wide range of high back sofas and booths now available, customers have a wide range to select from. Finally, it would be remiss not to mention the fact that office furniture design has increasingly embraced the use of sustainable products with many products now comprised of mostly recycled materials and produced using sustainable practices. To conclude, the history of office furniture design has really come in stages with some stagnation at periods where office design adopted rigid, design-less models, there is a hell of a lot to celebrate and it is with excitement that we can look to future and ponder, what next for office furniture design?